What time is the right time to write? Is it the waking hour, following a long night’s rest, when all the stars have gone back to bed and your eyes can’t see the words correctly, making your typing all the more magical? Or is it in the quiet of the evening, before the louder housemates have returned from the bar to make repetitive mewling sounds to their cat and leave the water running for hours? For Taco Idiot, multi-instrumentalist songwriter of Montreal, the answer is simple: write in between taco shifts. Makes sense. The new release by T.I. is pirate radio recording done well — all songs short and sweet, made to be digested with the special sauce of sensitive listening. The album title, Oh Man Oh Man Not Again, couldn’t miss the mark of my sentiments more while listening to this EP. This is no budget recording at its best. All the echo and depth crammed into these four tracks, every scrappy guitar melody, every barely supportive drum part is gorgeous and fun. What does the EP have to offer you ask? The two opening tracks wander a similar path: verse-chorus-verse stuff, but chill, oh so chill. “That Famous Man” doesn’t crash or throttle around to greet listeners to the world of Taco Idiot, it lounges on a street corner, eating a hot dog, smirking at other album opening tracks as they walk by. “Here’s Something New” is cooler, more like a teenager rocking a high score at an arcade without breaking a sweat. While the majority of the album could be described as straight garage, there’s more than a hint of psych to be found in “Salami:” the lyrics contain Lennon-like commonplaces turned strange and the banjo-like duelling guitar melodies are a time warp to say the least. Closer “Anyway” is stacked with simple pleasure. 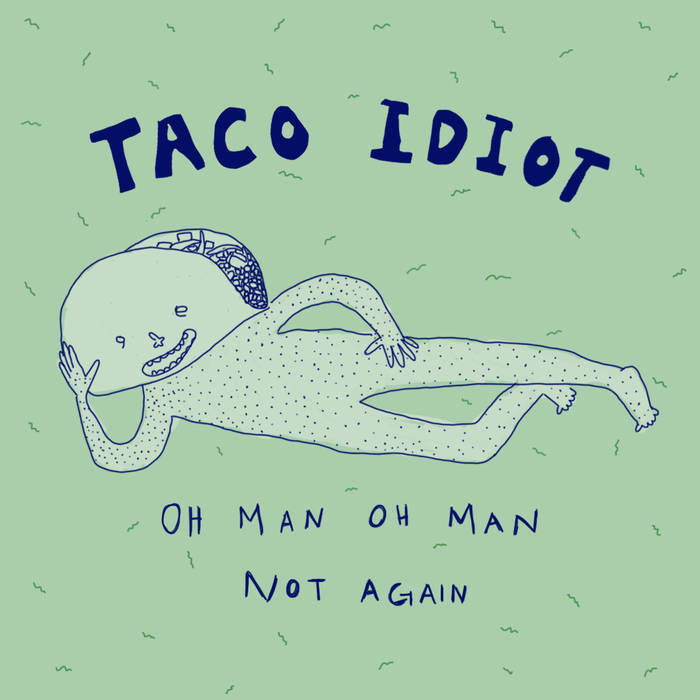 If you think people should make beautiful things, with very little money clogging up the process, then make sure you listen to albums like Taco Idiot’s newest offering. Sometimes it takes four tracks of thoughtful songsterism to remind you that, no matter who’s in the papers or who’s ruining your sleep, it’s still important to play, to write, to eat a salami. Taco Idiot’s here to help.